Yoga cd Aquarian Technology by Kamari & Manvir. A great collection of Kundalini Yoga Mantras. Together with Manvir's voice, a lounge like space is created in which many things are possible: exercise, yoga, relaxation, meditation, trance and dance. 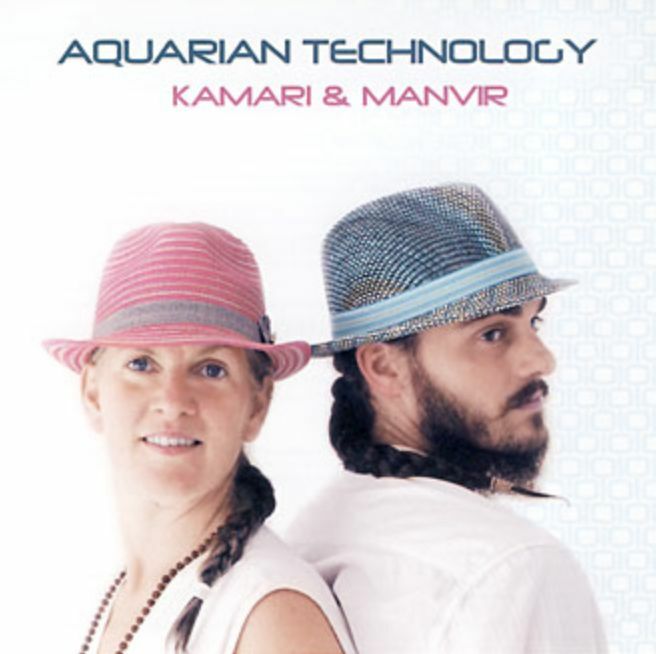 With their album Aquarian Technology, Kamari & Manvir seamlessly connect to their debut album Kundalini Technology and take it to the next level. In the best chill-out style the duo offers soft-groovy sounds and relaxing melodies that blend effortlessly with ancient Kundalini Yoga Mantras and merge into a unique entity of modern and timeless sounds. You have not heard Kundalini Mantras like this before! Kamari is sound wizard, creative mind and groove virtuoso with a new creative vision. Together with Manvir's voice, a lounge-like space is created in which many things are possible: exercise, yoga, relaxation, meditation, trance and dance. Aquarian Technology expands the genre of spiritual mantra music and easily spans a bow to the genre of trance-like, floating sounds and modern grooves, in which also Indian sounds find an honorable place.